The MPC8541E integrates a PowerPCTM processor core built on Power ArchitectureTM technology with system logic required for networking, telecommunications, and wireless infrastructure applications. 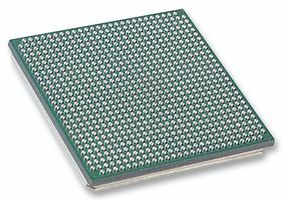 The MPC8541E is a member of the PowerQUICCTM III family of devices that combine system-level support for industry-standard interfaces with processors that implement the embedded category of the Power Architecture technology. For functional characteristics of the processor, refer to the MPC8555E PowerQUICCTM III Integrated Communications Processor Reference Manual. To locate any published errata or updates for this document refer to http://www.freescale.com or contact your Freescale sales office.